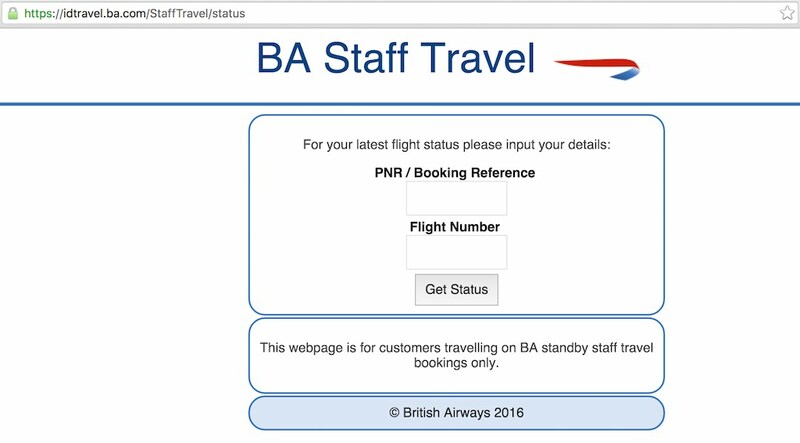 British Airways has a special site (http://idtravel.ba.com) where you can go and manage your reservations. Here you can also list for your flight and when you list you will see the loads as well as others on the standby list. This is for OA travelers as the BA employees has a different way to do this. You can create a listing using a paper or an eticket. Just click “Logout” to go back to the main screen. If you want to view your space available reservation. You just need your confirmation number and the flight number to access it. Head over to https://idtravel.ba.com/StaffTravel/status. 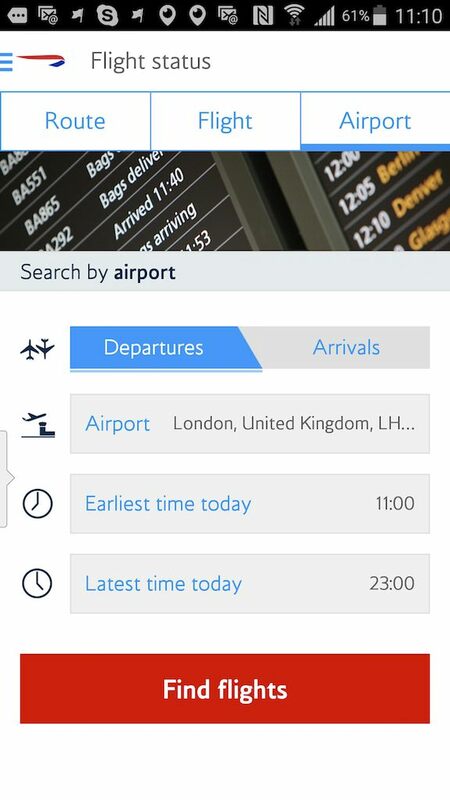 First, download the British Airways App: Apple IOS | Android | Blackberry | Windows Phone. This page explains all the functionality of the mobile App. 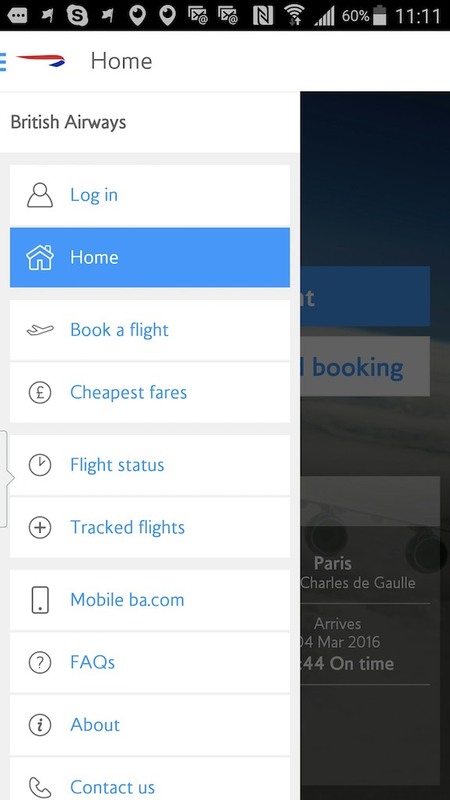 You can also start at BritishAirways.com and navigate to Information > The BA Experience > BA on your mobile. Despite the fact that you can’t see the standby list on the App, they do have a functionality that I’ve not seen on other airline Apps and that’s the Airport flight schedule with status. From the home page click on the three vertical lines from the upper lefthand corner. Then choose the “Flight status” option. The next screen as shown above allow you to choose Route, Flight or Airport. 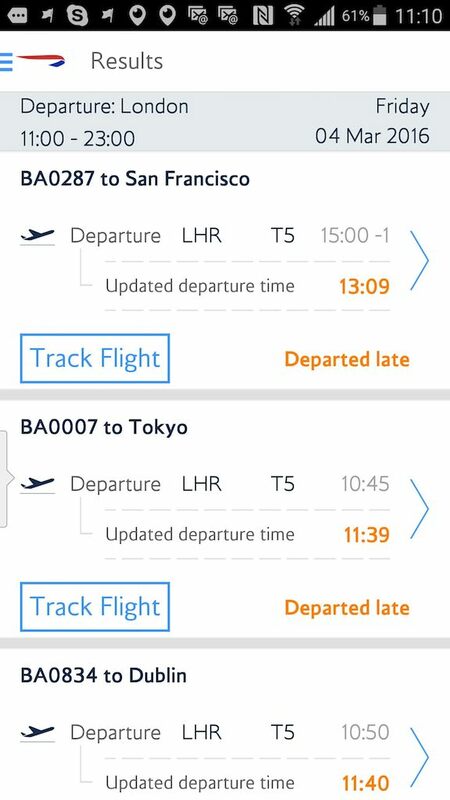 Choose Airport, then Departures or Arrivals; Departures is the default selection. Now enter the airport, the earliest time and the latest times for which you would like information. Then click the Find flights button. This is the golden screen. Here you will see all the British Airways’ departures or arrivals if that’s what you chose for that day. Now you can see what’s going on with your flight and other possible choices right from the palm of your hands without having to stand by that FIDS! How cool is that? Clicking on one of the flights will give you the current status of that flight. Sorry no load information is displayed nor an upgrade or standby list. 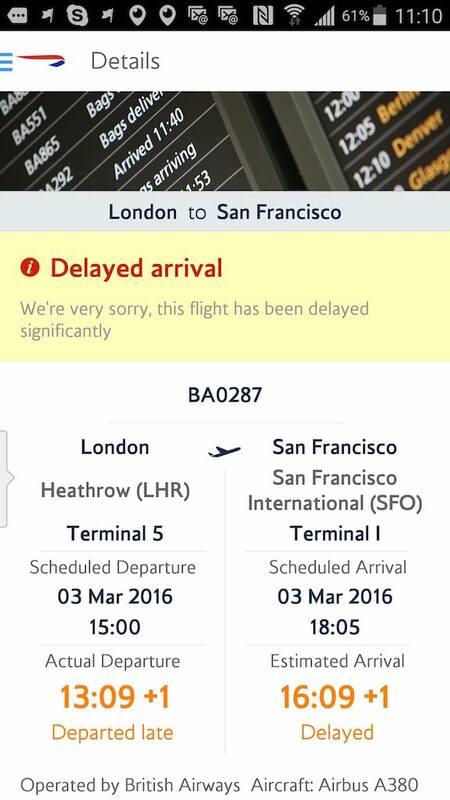 The normal procedure is to go to the BA counter and check-in for your flight. Give yourself enough time especially if you are checking bags. But at London-Heathrow Terminal 5 its more awesome than that as they have a special area for you to check-in. Just ask an agent to point you in the right direction. 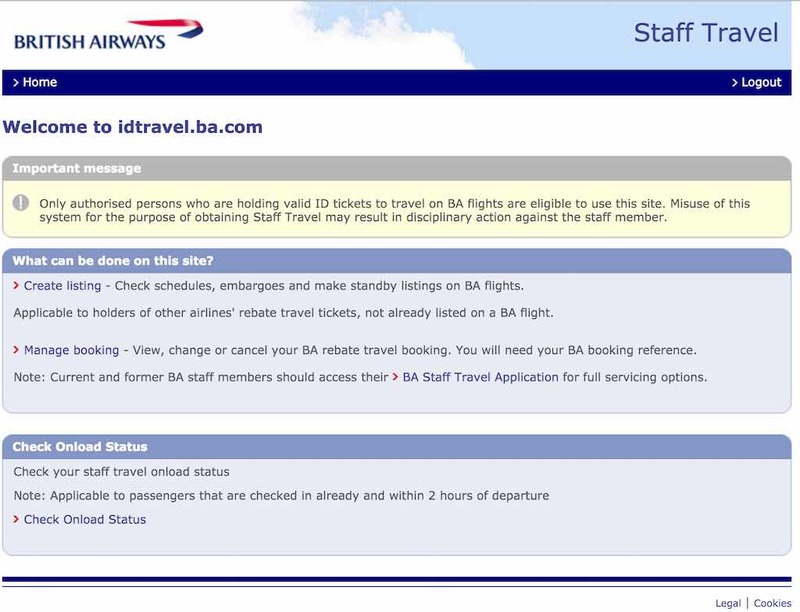 Here you have a few screens that will show you the flights and those listed and where you are on the list. Then once you are cleared you go collect your boarding pass and drop off your bags if you have them and clear the security gate. It’s a beautiful thing. If you are in transit, you’ll either have to go to the Transfer Desk to get a standby boarding card and/or head to the gate area to wait for a seat. Is it possible for me to check the flight load where I am listed as standby? I am travelling as an Air Canada employee (a parent of the employee).